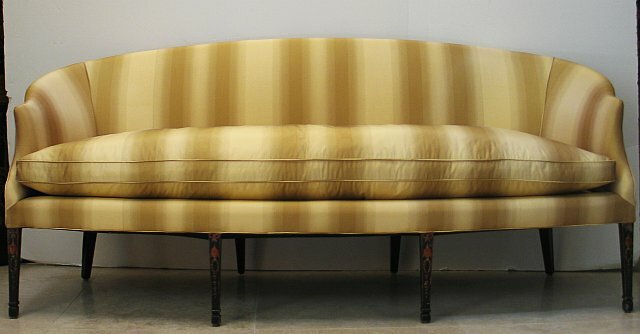 English settee with slightly curved form and slightly flared arms. 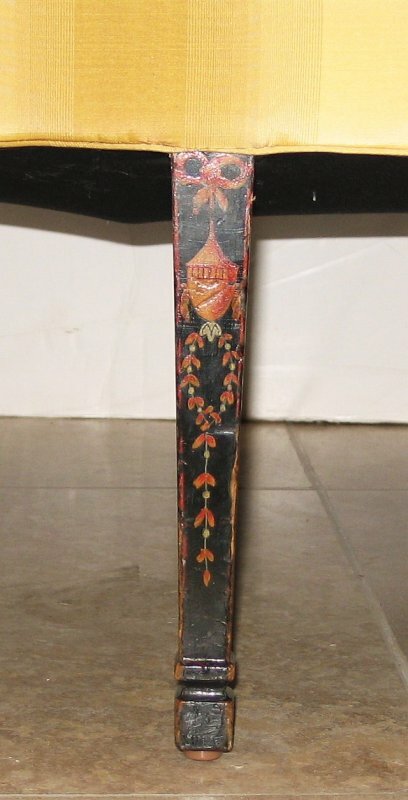 Legs with paint design of classical urn with garland. Now covered with silk stripe fabric.